Oils There are 8 products. Natural essential oil facial cleanser removes face and eye make-up while nurturing skin. A specially selected composition of oils: sweet almond, Abyssinian, prickly pear, jojoba, and natural vitamin E perfectly nourishes and moisturizes skin, providing it with the missing nutrients. Tamanu oil is extracted from cold pressed seeds of fruit from tamanu tree (Calophyllum Inophyllum), which grows in Africa, southern Asia and the Pacific islands. 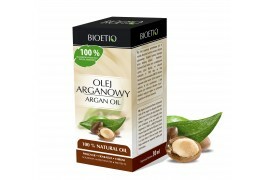 The first information about unique properties of the oil came from Polynesia, where the local people treated the tamanu tree as a holy gift from nature. .
Argan oil is extracted from cold pressed seeds of the argan tree (Argania Spinosa), called a tree of life by the local people, the Berbers. It grows in the ecologically clean part of Morocco, in the area which was registered in 1998 as a UNESCO biosphere reserve.